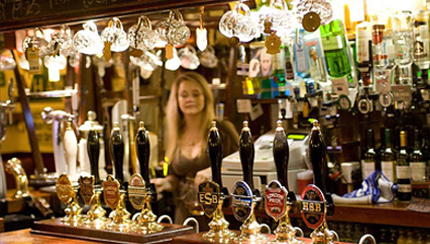 Brighton has no shortage of cosy bars where you can sample the finest Brighton Ales while soaking up the atmosphere. We’ve picked out our favourites. 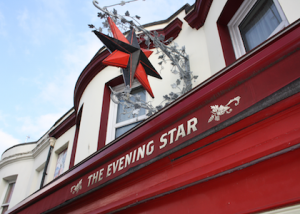 A stone’s throw from Brighton train station, The Evening Star is a cosy old pub that brings together ‘real beer’ lovers, who enjoy sharing their love of beer from a wide range of craft brewers across the UK at cheap prices. 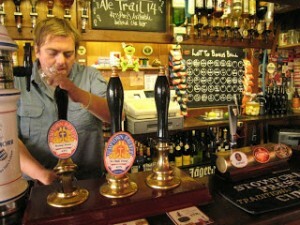 Serving its own Dark Star real ales and guest beers, here connoisseurs of ales swarm. Their evergreen Dark Star pumps include perennial favourites American Pale Ale, Hophead, Original and, most unusually, Espresso, which is brewed with freshly ground espresso beans. They have recently launched Genesis 4.7% – A blend of a pale bitter created with late citrusy hops and a black beer made from robust dark malts, make for a blend that’s Mild in style. It’s all about the blending! The Craft Beer Co exists to showcase genuine hand crafted beers, spirits and wines from UK and the rest of the world. Every beer is carefully chosen to enable the customers to experience a voyage of discovery during every visit as they constantly innovate their selection to deliver a world class experience and outstanding value for money. Favourite beers include: Dark Star American Pale Ale, Fyne Ales Rune, Thornbridge Kipling, Magic Rock High Wire, Tiny Rebel F.U.B.A.R, Ilkley Mary Jane, Horn Beer’s (Denmark) Frambose, Evil Twin (USA/Denmark) Hipster Ale and finally Southern Tier (USA) Creme Brulee. Walking along St. George’s rd and its quirky shops and bars you will bump in one of the most distinctive and friendly pubs across Kemptown: The Hand in Hand. With the first sun in spring it quickly gets crowded as people gather outside to enjoy great ales and quality jazz. Every Sunday – Fabulous Jazz Trio delight the crowd in Kemptown. After a rebuild, the brewery has now been back up and running for just over a year. Gary brew beer on site for both the historic Kemptown Brewery and a “gypsy” brewed called the Brighton Bier Co. 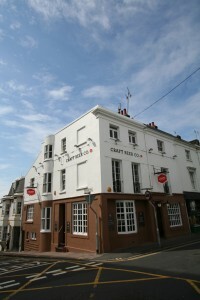 The Kemptown beers are exclusively available on site at The Hand. Decorated with dark wood tables and benches, the walls lined with old ties and memorabilia, whether you are a Brighton resident or visitor this little gem is not to be missed. Located in the heart of Brighton and embracing the counter-cultural and community ethos of Brighton’s most colourful and independent quarter. In line with the alternative commercialism made famous in the boutiques and cafés of this vibrant area of the city, the pub of course, brews its own beer. 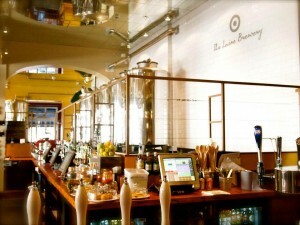 As a temple to the worship of cask ale and continuing a brewing heritage that once saw ten sizable breweries operating in Brighton, the pub contains a state-of-the-art microbrewery from which it will brew a variety of cask ales for the pub’s customers, including the ever popular Laine’s Best. This is the place serious beer drinkers head for. An ancient tavern-style pub with its walls covered with messages in old tin cans. The Basketmakers, located just 10 minute away from the more touristic North lanes area, has become renowned far and wide for it’s fine real ales and excellent organic food. Many years ago the Basketmakers was a free house and then it became a Gale’s pub. After the Gale’s takeover it’s now primarily a Fuller’s pub. If you’re just here for a refreshing pint, prepare to be spoiled for choice. 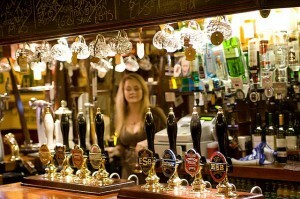 With no less than eight hand-pulls, they’re the best pub in Brighton for fans of real ale. 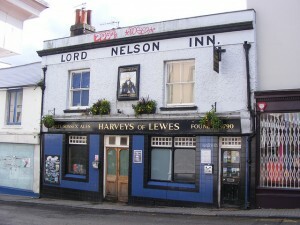 The Lord Nelson is a classic unspoilt back street local close to Brighton railway station but just off the tourist tracks. There are two small and comfy saloon bars to settle in away from the hustle and bustle of this cosmopolitan resort. Our favourite ales: Sussex Pale Ale 3.5% and Best 4%: It is a full, well-hopped bitter with a reputation that exceeds the borders of its native and adjoining counties. They host Folk Night every first Monday of the month 9pm until close and from a little while ago free access to wi-fi. This pub is definitely worth a shot. 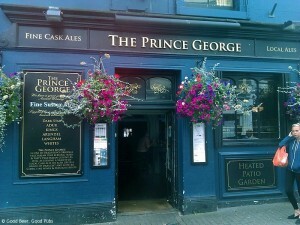 Located at the bottom of Trafalgar Street (2 minutes from Brighton Station), The Prince George definitely has something unique. Keeping a traditional feel, parts of the pub have been opened up without losing the enticing nooks and crannies – plus the secluded beer garden – that make it such an inviting place to enjoy good food and drink. The selection of ales they have on offer is vast and wide but please take note that not all the ales listed on the website are available throughout the year as they regularly change their selection based on the season. Whether you want to kill some time waiting for a train or just enjoy some good ales, The Prince George and its friendly atmosphere wont disappoint.